A change in scenery lets Greg Whiteley's docuseries keep all its best elements while sharpening its focus on the individuals that make up the Independence Community College program. Much as the sports world likes to put emphasis on X factors and MVPs, it’s rarely one individual that makes a disproportionate difference on a team. Especially in a sport like football, with so many moving parts and a constantly changing mechanism of fragile psyches, complex plays, and a bevy of coaching staff members, it’s hard for a single person to rise so far above their peers. Even in the cases when a transformational talent suits up, rarely does a concentrated narrative around a sole player benefit any sort of story around the team itself. “Last Chance U” director Greg Whiteley balances a majority of the season tracking Brown’s efforts with the individual efforts of about a dozen Pirates players. They include former top-ranked high school QB prospect Malik Henry, Nevada offensive lineman Kerry Buckmaster and Florida transplant linebacker Bobby Bruce. Isolated interviews with these featured players happen in various places: dorm rooms, study halls, locker rooms, and on casual strolls on Independence backroads. For each Pirate, Whiteley not only tracks them through practice and their classroom endeavors in Kansas, but follows them back home for an illustrative slice of the environment they grew up in, states away. From a technical standpoint, “Last Chance U” has refined its compelling approach to filming in-game action, particularly when tempers flare and the success or failure on the field bleeds over into sidelines. But apart from any impressive steadicam footage, this series has gotten sharper in positioning the interpersonal tension in the greater context of the season. Avoiding getting locked into a familiar format that uses each game as the emotional and psychological high point of each episode, this season places an emphasis on off-the-field proceedings without blunting the inherent drama of the games themselves. Occasionally, episodes will splice in interview footage from well outside gameday into the Saturday night highlights, toying with the usual way that football stories unfold. Season 3 also benefits from the shakeup that comes with a shift in expectations from within the ICC program itself. No longer tracking and charting the exploits of a team destined for greatness (as East Mississippi seem fated to do for years to come), Season 3 of “Last Chance U” mixes in a little bit of the underdog spirit that made the sixth episode from Season 2 one of the series’ best curveballs. No longer looking at the pressures of maintaining excellence, this new season shows the terror that comes with realizing that you may never reach that plateau in the first place. East Mississippi guidance counselor Brittany Wagner became something of a fan favorite over the course of the first two “Last Chance U” seasons at that school. Without resorting to a simple one-to-one tradeoff, most of the in-classroom efforts in Independence are focused on players’ relationship with English teacher LaTonya Pinkard. Through close reading of novels and a general interest in their scholastic well-being, Pinkard represents a calm, firm voice of reason a marked contrast to Brown’s volatile coaching strategy. To its credit, “Last Chance U” avoids setting these two different figures of authority in direct opposition. Though it becomes clear that a number of the featured players struggle with the traditional student-athlete balance, both Pinkard and Brown stress that the collegiate experience isn’t a zero-sum game. 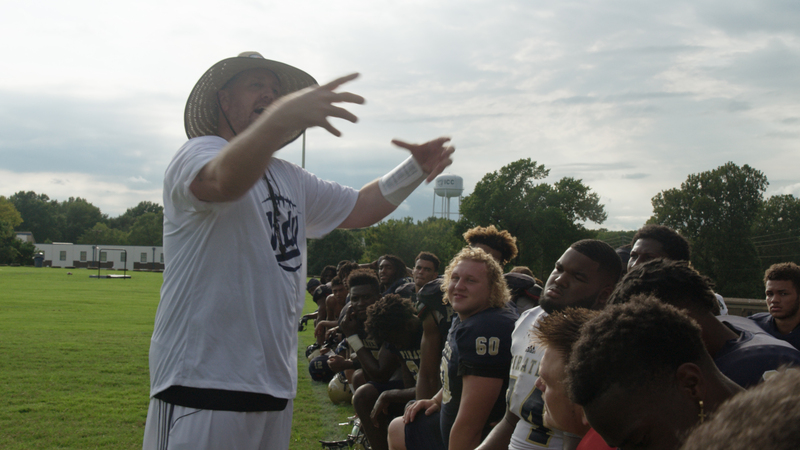 “Last Chance U” has always made a concerted effort to dedicate plenty of time to the non-football aspects of all these players’ and coaches’ lives, but this might be the season where the show has most questioned its own assumptions. As the season progresses, more and more doubt creeps in as to the effectiveness and legitimacy of Brown‘s coaching tactics, not just in the way that he called plays on the field, but in the techniques he uses to motivate both the people wearing jerseys and the standard issue polos of his assistant coaches. Those assistants get more featured time here than in past seasons. There’s the quarterbacks coach listing what he’s given up to be a part of the staff. There’s the in-game spat that leads a pair of coaches to nearly come to blows. There’s the litany of cringing faces as Brown erupts in another fiery war room tantrum. All of that underlines the idea that as much as all of these individuals give to make this Pirates team a potential national powerhouse, a majority of them see ICC as a stepping stone to something greater. 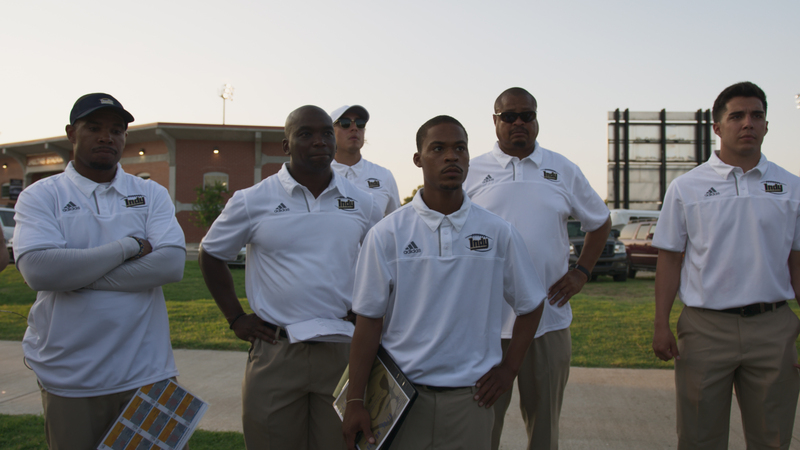 As many of these men have one eye on the future, “Last Chance U” excels at understanding that pull while keeping a sharp focus on the present. Part of that extends to the Independence community, where barbershop conversations and chats among Kansas retirees consider what the town used to be and what they hope a reinvigorated football program can make it again. What “Last Chance U” shows time and again is how capturing all of these intertwined fates takes more than just a cursory glance at a clip reel. It’s about showing that no one person is bigger than the team, but that doesn’t mean each of them don’t deserve the chance to tell their story. “Last Chance U” Season 3 (“INDY: Part 1”) is now available to stream on Netflix.